What if you only advertised your business via telegraphs? You might think no one would be crazy enough to rely on old technology. However, that’s what businesses are doing when they ignore the importance of digital marketing. 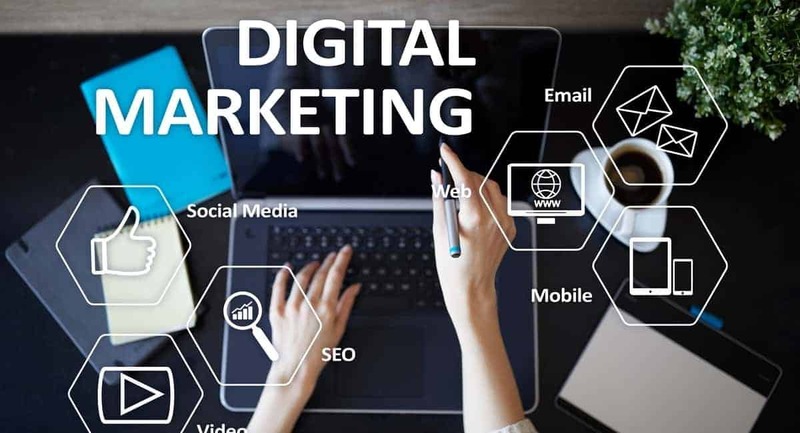 Digital marketing is here to stay, and it can completely transform your business. Unfortunately, many businesses do not know exactly why this is so important. Keep reading to discover our guide to what digital marketing is and why you need to embrace it! We’ve prepared a solid guide to the benefits of digital marketing. First, though, we need to define what “digital marketing” actually means. Digital marketing covers almost any form of using technology to market to customers. This ranges from subtle things like website SEO to more obvious things like social media marketing. The ultimate goal of digital marketing is to reach customers where they are most likely to be. And in an increasingly digital world, that means using the technological tools we are given. Now, onto the many benefits of digital marketing! First, some good news: digital marketing is very affordable. Especially when you compare it to other methods of marketing. There are different price points for different kinds of digital marketing. However, you generally see a better ROI with digital than with any kind of traditional marketing. As an example, you can analyze your own SEO practices for free using various Google tools. And you can enhance your SEO on your own without spending any extra money. Better SEO leads to more website visitors and more conversions. Pretty soon, you’ll have soaring profits…and all because of one simple tweak! If we’re being honest, most modern businesses lack direction. Sure, there are many buzzwords about “bold strategies” and becoming “a thought leader.” But this doesn’t translate to practical ideas for what steps your business should take next. However, digital marketing is a great way of providing direction to the company. This is because the more you digitally market, the more you’ll learn. For instance, a good CRM on your sites can help you learn which of your websites get customer attention and which ones get skipped. This offers a plan of attack for what you’d like to fix as well as what your future design steps should be. We hate to say it, but this digital world of ours is here to stay. If your business keeps doing what it has been doing for decades, then you will be stuck in the past. And pretty soon, your competition will outpace you (more on that in a little bit). The good news is that it’s never too late or too early to begin digital marketing. And you don’t have to take on a million different things at once to get started. Instead, start small and measure your results. As you see improvement, think about the next aspect of your marketing you intend to address. Remember when we talked about being where your customers are? Spoilers: they are all over the place! Traditional advertising is a gamble because of this. You may pay for things like billboards and newspaper pages only to find out these advertisements are not reaching your customers. However, digital marketing allows you to reach your customers via their cell phones. Social media marketing, for instance, means you can reach customers via their apps. Simply put, your customers are always mobile. And the only surefire way to reach them is to do so via their mobile device. Do you know who your main customers are? Many businesses are shocked when they find out who is paying their bills! Without digital marketing, it can be tough to figure out who your demographic is. And you are basically left to customer polling and your own observations. However, digital marketing gives you a ton of great info about your customers. CRMs will let you know where they are shopping from, what their buying habits are, and so on. Think of this marketing as casting a wide net. Pretty soon, you’ll find out which areas of digital marketing are gaining the most customers. You can then focus more on those areas. Ever notice that the word “artisinal” has taken over the world? There is a reason for this. Many demographics, especially Millennials, like for products to feel personalized. They don’t want to feel like something has been mass produced. They want to feel like they have found something one of a kind. With digital marketing, you can offer customers the personalization they crave. This includes SMS campaigns, push notifications, and website purchase suggestions. Your customers will feel like you are offering your own “artisinal” experience. And they’ll open up their wallets as a way of showing appreciation. Admittedly, “digital marketing” is a phrase that covers a lot of ground. However, that just means that it gives you the kind of flexibility you’ve been craving. For instance, many customers don’t know much about your business or any others. Digital marketing gives you a chance to give them a “behind the scenes” peek. You could create something exciting like a company or product demo reel. Afterward, you can share it on Youtube, social media, and your own website. By visually engaging your customers, you’ll reap serious profits. There is more info here about the power of a good demo reel. Your parents may have warned you against doing what everyone else is doing. In business, though, you often have to! Trust us: if you’re not embracing digital marketing, your competition is. You can either compete for the same market or end up looking as outdated as a telegraph machine. Start your digital marketing journey today while you can still beat the competition! Now you know more about the importance of digital marketing. But do you know who can help you learn about the latest in tech news? Here at the Florida Independent, we’re here to bring you the latest news. To discover the next big thing, come check out our technology section today!